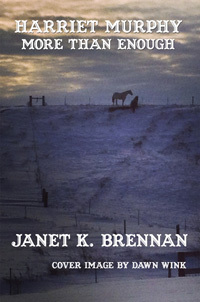 Author Janet K. Brennan is an international book critic/reviewer and the co-founder of Casa de Snapdragon Publishing—and she still finds time to write novels, short stories, and poetry. Her newest book, Harriet Murphy, More Than Enough (2017), is the second in her Harriet Murphy historical fiction series. 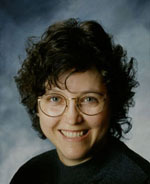 You can find Janet on Facebook and her Amazon author page, as well as CasaDeSnapdragon.com and her poetry website JBStillwater.com. What is your elevator pitch for Harriet Murphy, More Than Enough? The book shows how women living in an ever-evolving society can be strong and survive even the most complex and sometimes dangerous challenges that can come along in life. Harriet is a good example because she lives alone in the log cabin her father built for her family when they came across for the gold rush of 1849. Harriet Murphy stories are short stories tied together with the same characters. They are all resolved at the end. 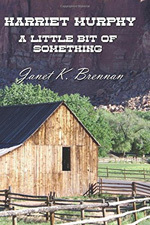 The first book, Harriet Murphy, A Little Bit of Something, took Reviewer’s Choice from Amazon, Small Indie Press Award from Bookwatch, and Reviewer’s Choice from Mid-West Book Review. Writing historical fiction requires much research, and for me that includes travelling to the places about which I am writing. What I try to do is stay on top of what went on at the turn of the 19th century that was not only life changing but also interesting (new inventions, politics, entertainment, environment). This means many trips to different libraries and museums, interviewing people, going back into old newspapers, online research; but most importantly, travel; and to live in the area. I visited Old Pine (Foresthill, California). While there, a horrible forest fire erupted. I went up to the fire, met the firefighters, ate with them and took many pictures. It was a devastating experience as that is my muse. What first inspired you to write the adventures of Harriet Murphy? The story came to me, oddly enough, while I was on sabbatical alone on Longboat Key, Florida. While walking the beach a story began to evolve in my mind about a young woman who lived in the foothills of the Sierra Nevada long after her parents had passed. I began to wonder how the many challenges of such a life would affect the psyche and change the personality. While walking I spied a very overweight seagull, and when I went to take a picture I said, “Dang, you are a big bird.” As “dang” was not a regular part of my vocabulary, I realized I had already begun living the life of Harriet Murphy inside my mind. But the seeds of this book were planted the previous spring when I visited my sister in the foothills of the Tahoe along the American River in Placer County. The Tevis Cup endurance horse race was happening at the time. I had a few beers at the Red Dirt Saloon as I watched them head to the finish line. The seeds were quickly growing into a plant. Each book takes about two years to write. Once the bones of the book are done, I go back into it to flesh it out and do a pre-edit. Then off it goes to my wonderful editor. When she is finished, it comes back to me and I make the changes. In the case of Harriet Murphy, this can be a difficult process because there is so much of the vernacular of the area included in conversation and it’s written in first person point of view. When finally satisfied with the finished product, off it goes to the printer for a first proof. This gives us a chance to go through the book and make any final changes. An author should always read the book out loud before final consent is given. Once I give thumbs up, off it goes to final print and into worldwide distribution. Tell us about your main character. What is it about her that makes readers connect with her? How have historical characters impacted your story? I believe all genders can relate to Harriet Murphy—many of my readers are male, and they often tell me this. Harriet Murphy is a very brave and tough woman who can be very vulnerable at the same time. She loves, hates, suffers and rises above. Of course, the main characters are those living in the town of Old Pine who are all the descendants of the original 49ers. In doing research, I learned that some very unusual characters, some quite famous, lived there or travelled through there. I have incorporated many of them into the stories I weave. The foothills of Lake Tahoe in the Sierra Nevada are rich in gold mining history. It is a very beautiful area, which abounds in folklore with more than a few sprinkles of ghosties and Native American treasures. This is the exact area where the 49ers came along the American River to placer gold as well as dig deep into the hills and mountainsides for the treasure. Many of the original homes are still there. Some of the old mining encampments stand alone out in the middle of the deep woods. At every bend of the river, one can often find old mining equipment. Was there anything surprising you discovered in doing research for this book? I never realized just how isolated this part of our country was and still is. It also surprised me that these people, mostly Irish and Scottish, took a deep interest in the politics of our nation and travelled often to Sacramento and San Francisco to enjoy the rich arts programs that were offered there. Many of the towns, such as Placerville, still have hanging trees. The town was originally called Hangman’s Town for that very reason. The Washoe Indians believed that if a tree was forked, it held special spirits of the dead. These are the trees that were used to hang people. The character of Harriet Murphy was first introduced in Harriet Murphy, A Little Bit of Something (2009). What are the challenges of writing a series? Did Harriet surprise you as you wrote her story? Special challenges might include making sure you do not repeat an incident from book one with slightly different details. It must all be uniform. A writer needs to allow their characters to age and evolve without losing the essence of the original character. Harriet often surprises me. However, I allow her character to move forward knowing that she is I. Therefore, in many ways, I see the things in myself that I do not know that I have the capability of accomplishing. Well, I have been writing all of my life. When I finish a chapter, I am usually very happy with it, so I do not go through the self-doubt many writers go through. It is very satisfying for me. I go on a natural high. People often tell me they love the stories I weave and the characters I develop. I am a multi-published author and knew from the time I was seven that I was a writer. Not a doubt in my mind. When I was 10 years old I would go to the local paper mill, knock on their doors, and they would give me leftover paper from their cuts. Every Wednesday the people waited for me to come knocking, and they would greet me with stacks of paper. This was a treasure to me. My father often brought home notebooks from his law office that I also used. I wrote my first novel at the age of 12, followed by another and another. Then I became my Girl Scout scribe and high school editor-in-chief of our literary magazines and newspapers. College was the same. Then on to major publications in the United States and Europe. Writing literally identifies me. 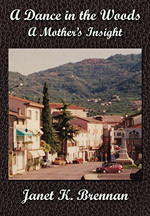 I love to write about the strength and spiritual nature of human beings. In my memoir, A Dance in The Woods, I write about my own challenges after losing my daughter and how I managed to rise above and be successful. You have published numerous poems, individually and in collections. How has your work as a poet influenced your fiction writing? I love writing poems but really do not consider myself primarily a poet. For the most part, I am a novelist. However, when I do write a poem, it usually takes me about an hour to pull from my soul, then I go back into the work and begin eliminating unnecessary words. I feel that the fewer the words needed to say what you feel, the better the art form. Poetry can open your mind in a way that nothing else can. It reaches in and pulls out the essence of what it means to be human, good and bad. I think studying the art form of poetry, words and structure can allow one to become a better writer. Art of any kind stretches the creative within. Once a writer learns to reach in and touch their own soul, they will never fail. No routine. I write when the spirit moves me. Deadlines are horrible for a writer. A good writer cannot produce well if they have a specific deadline. I sometimes find myself up in the middle of the night writing. Which of your many projects did you enjoy writing the most? You’re the editor-in-chief of Casa of Snapdragon Publishing. Why did you start your own publishing company? I actually own and operate two mainstream, traditional publishing companies. JB Stillwater Publishing is the newest one. This company specializes in poetry, health, and art. I started my own companies because at the time I was authoring for a major house and did not like the way they were doing things. There was no one-on-one. I could never reach anyone. Then they merged with another big publishing house and it got even worse. I did not feel that I actually had control over my own work. I felt I could do better for myself and many other wonderful writers. I do not believe in more than one project at a time. I am currently writing a book entitled Meadowland. This is a spiritual and metaphysical revelatory. A dandy interview! Thank you.